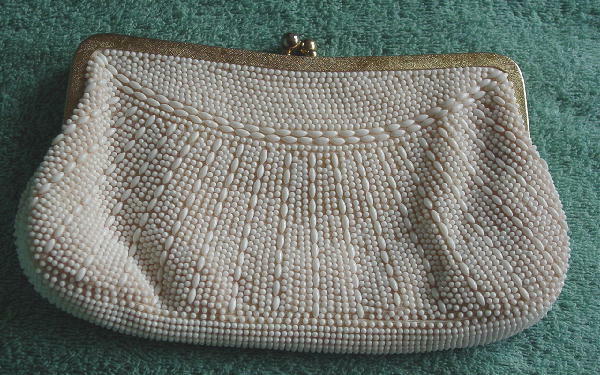 This vintage white beaded clutch has a gold-tone bypass rim and bypass closure. It has a shiny white fabric lining with an interior open pocket and was made in Hong Kong. The entire surface is covered in tiny round and larger elongated white beads. It has the same design pattern on the front and back. You could attach a chain to the 2 gold-tone loops. It's from a former English model. She used it while modeling in Paris.